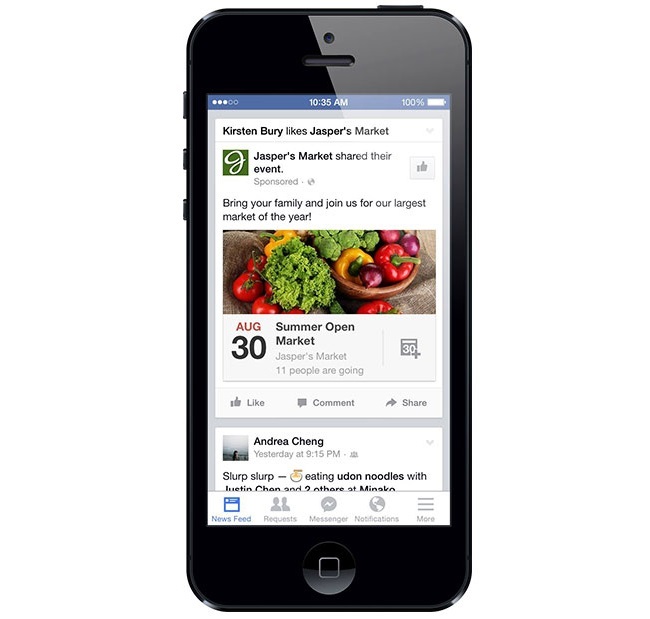 Facebook announced some eventful news for page administrators, as the social network introduced desktop and mobile News Feed ads and insights for events, as well as a new look for users’ events pages. 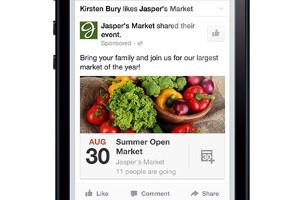 Pages were previously able to create right-hand-side ads for events, and the social network said in a post on the Facebook for Business page that this capability will be extended to desktop and mobile News Feed Ads “in the coming weeks,” via the ads create tool and Power Editor. The number of people who have seen a link to the event on Facebook. The number of people who have viewed the event. Every month, 400 million people around the world use events on Facebook to discover and connect with everything from parties with friends to things happening in their communities. And nearly 30 percent of all the events people connect to — like concerts, community events and special nights at bars and restaurants — are created by pages. For pages that often host events, the events tab is a great way to share upcoming events in a single view. (If you don’t see the tab on your page, click the more menu and reorder your tabs so events is one of the first to appear.) People who visit a page on mobile can also scroll through the upcoming events section to see the events a page is hosting that week. 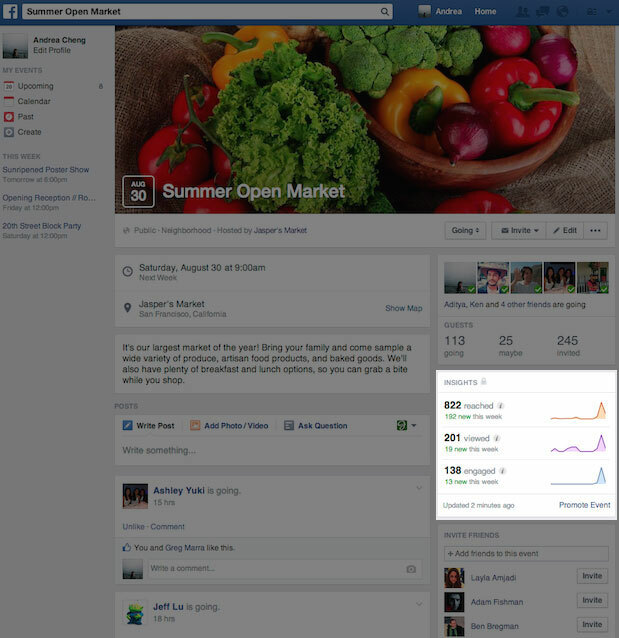 Page admins: Will you use events more following the introduction of these features?